We offer a one-of-a-kind music program for young families with children ages 0-8 in Kitchener, Guelph and in between. In our classes little learners and their adults come together to sing, dance and explore in a relaxed, inclusive and non-performance environment. We blend our rich curriculum of original and traditional songs with playful experimentation and creative music making to support musical development as well as all areas of your child’s growth. 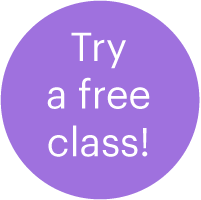 Join us for a free class and see what everyone is talking about! Mixed Ages class is now available at Play-a-Latte in Kitchener! Our Mixed Ages session is now available on Mondays at Kitchener's newest indoor play cafe! Click here to check out all the details about this new, 8-week class! Don't wait, register today. Spots are limited! Avoid disappointment, book your spot now! We've expanded our schedule with more classes and new teachers and a new program for 4-8 year olds: Rhythm Kids! Got questions? Let's chat! 519 573 4569. Want to try a class? Schedule a demo. Spring classes begin April 4 at the Puslinch Community Centre, (Guelph south end), Guelph (centre) and Kitchener. Looking forward to making music with you this spring! Copyright © 2019 Great Lakes Music Together. All rights reserved.